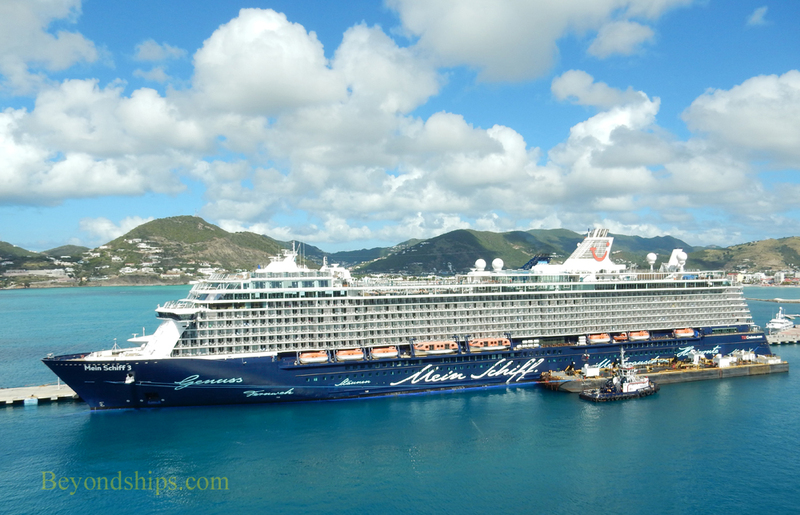 Mein Schiff 3 was the first ship built expressly for TUI Cruises. She is about a third again larger than TUI's first two ships. Although just under 100,000 gross tons, Mein Schiff 3 looks like a large cruise ship. 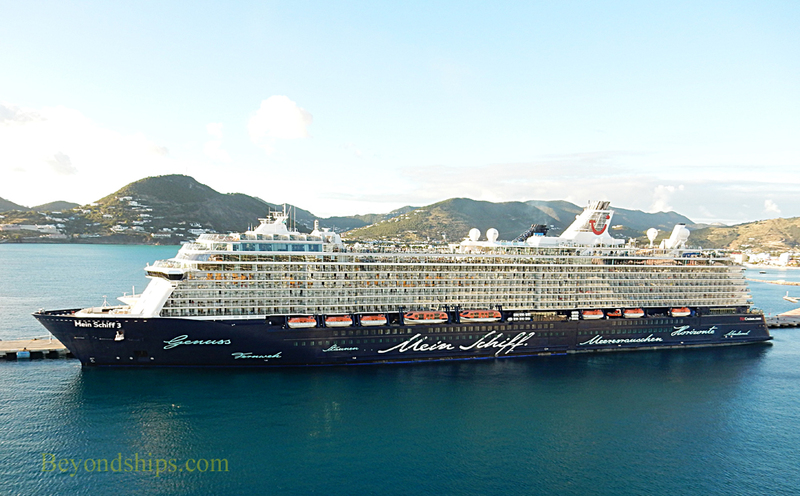 Built at the STX Finland shipyard in Turko, Mein Schiff 3 is an environmentally friendly ship. She consumes about 30 percent less energy than most ships of a similar size. Furthermore, her desulfurisation plant reduces toxic sulfur emissions by up to 99 per cent, while particulate emissions will decrease by 60 per cent. 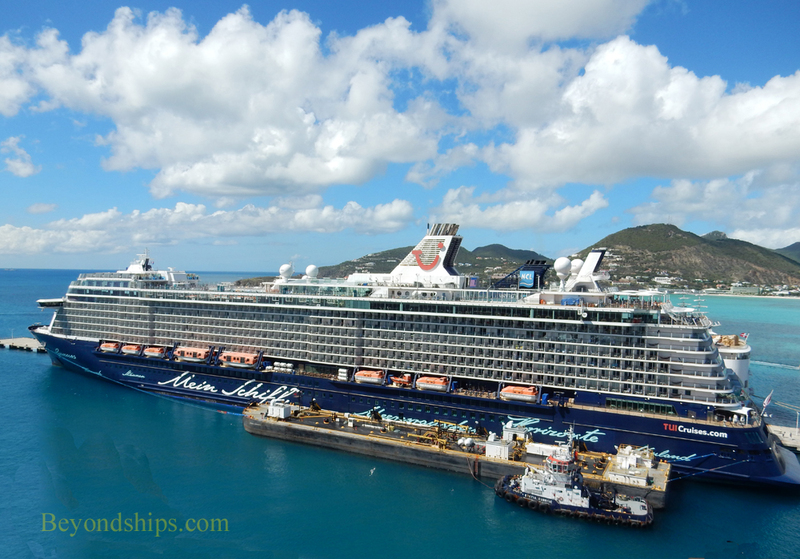 Consistent with the rest of the TUI fleet, Mein Schiff 3 was built with traditional propeller shafts. This sets her apart from other recent ships in the Royal Caribbean family (TUI Cruises is a joint venture between TUI AG and Royal Caribbean), almost all of which have been built with azipods. 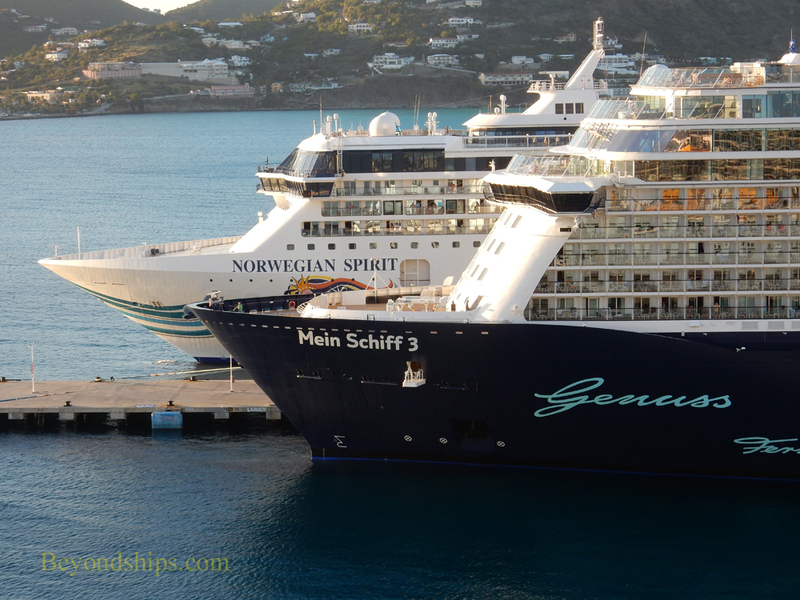 Mein Schiff 3 continues many of the popular features of her predecessors. However, she also introduced a number of new features. The most noticeable of these is a 167 square meter, diamond shaped glass enclosure at her stern. Nicknamed the Diamond, this feature houses two specialty restaurants, a coffee lounge and the diamond bar. In addition to its 949-seat theater, Mein Schiff 3 has a 300 seat acoustically-designed concert hall called the Klanghaus for listening to classical and jazz performances. 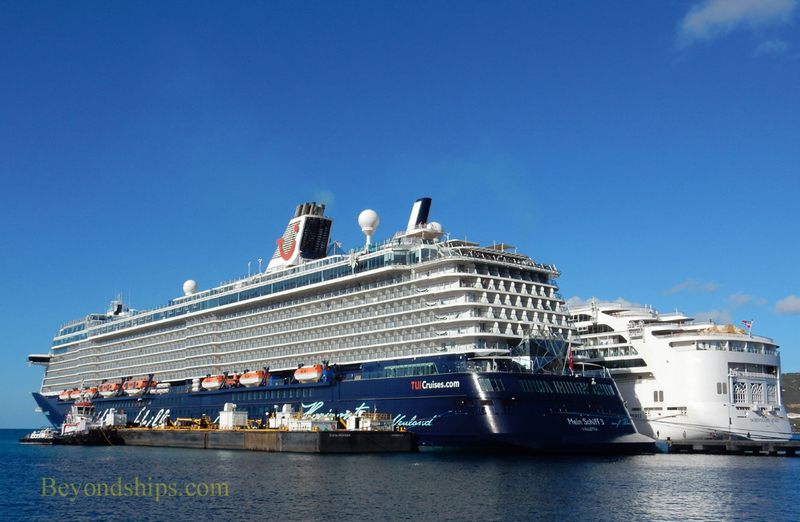 Outdoors, Mein Schiff 3 has a 25 meter long swimming pool, reportedly the longest at sea. On Deck 14, the ship has two glass bottom balconies that allow guests to look down some 37 meters to the sea below. The main dining room operates on a flexible dining system. It has been divided into three sections, each presenting a different style of food. 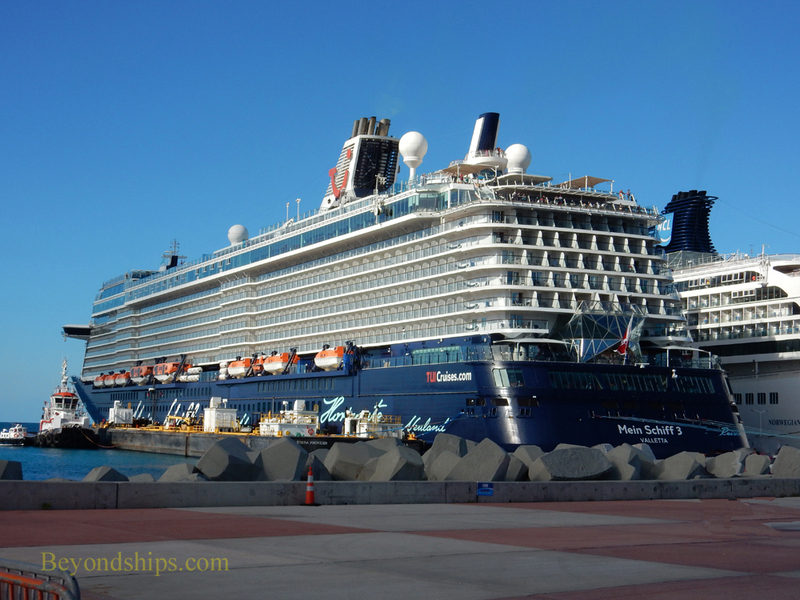 Mein Schiff 3 has a total of 11 dining venues including several specialty restaurants. TUI ships cater to couples and families of all ages. The all-inclusive fare covers many things except most notably certain specialty restaurants and shore excursions. LENGTH: 293.3 meters, 962 ft.
BEAM: 42.3 meters, 139 ft. DRAFT: 8 meters, 26 ft.